What if you’re stopped or you have contact with a law enforcement officer or you’re stopped on the highway by a law enforcement officer vehicle – what are your rights? What is your right to remain silent, commonly known as Miranda rights? Everybody out there has watched TV and they have their own perceptions of Miranda and when I can talk and when I can’t talk and here’s the straight. Miranda says that there are two components to your right to remain silent First of all you have that right at all times. Here’s a piece of advice – exercise it. Exercise your right to remain silent! Whether you have the right and you exercise it and the ability to exercise it are a totally different analysis then if you actually just give in to the officers request. Always be respectful to law enforcement but be polite and be firm and say officer other than my own personal information, my driver’s license, registration, and proof of insurance if you’re in a car or if you’re just walking, you need to ask the officer am I free to leave? The officer is required to tell you, yes or no. If the officer says no then you say officer what am I being stopped for? He can answer that question or he can’t – doesn’t matter ether way. You on the other hand need to provide who you are, your personal information so you can be identified and that’s it. After that you need to politely say officer I don’t feel comfortable talking to police officers without having my attorney present. So use that to your advantage, use it in situations where you’re not doing anything illegal and by the way don’t do anything illegal so you don’t have any problems anyway but you always have the right to remain silent. That is a fundamental right that’s been tried and true in this country and if you’re exercising that right which you can exercise in any time in most any circumstance then you’ll be okay. I’m looking out for you. Give us a call if you have any questions – our consultations are free. 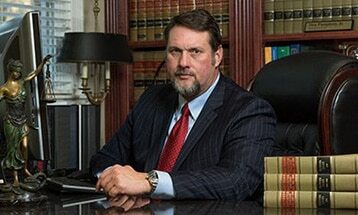 For the Pumphrey law firm, I’m Don Pumphrey Jr.